Upper COLUMBIA RIVER: the four runs. 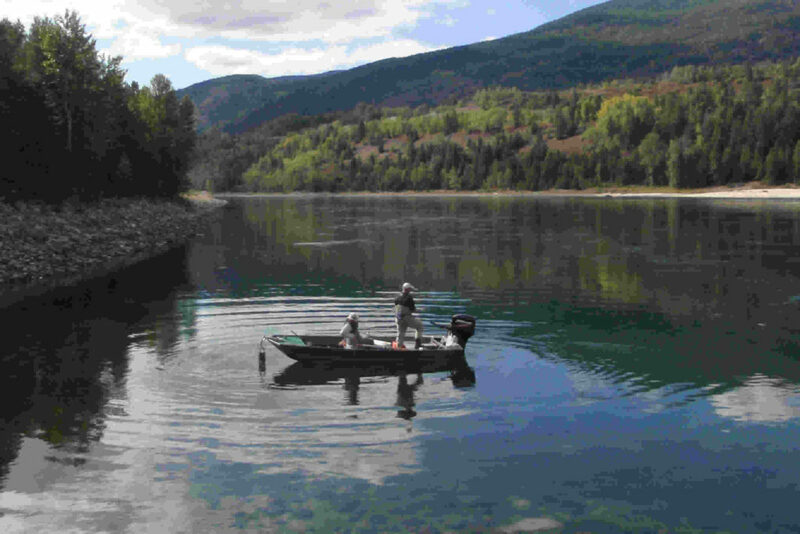 The stretch of the upper Columbia River we fish starts upstream of the confluence of the Columbia and Kootenay Rivers near Castlegar B.C. and stretches 35 miles (56 km) to the Canada/U.S. Border. 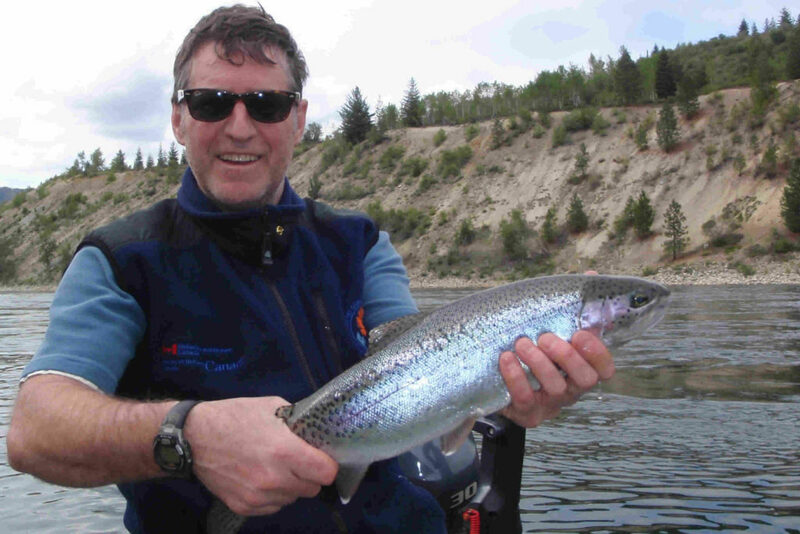 It is a tailwater fishery regulated by the upstream dams on the Columbia and Kootenay rivers. The upper Columbia is about 800 miles upstream from the mouth at Astoria, Oregon. The upper Columbia River is a completely different fishery than the lower section of River in Oregon and Washington that most people are familiar with. While the upper Columbia is much smaller than the Washington and Oregon stretch, it is still very big for a trout stream. We break the 35 mile stretch of Columbia we fish into 4 distinct runs. The Castlegar Run starts about a mile below the Keenleyside Dam at the old ferry landing at Robson. 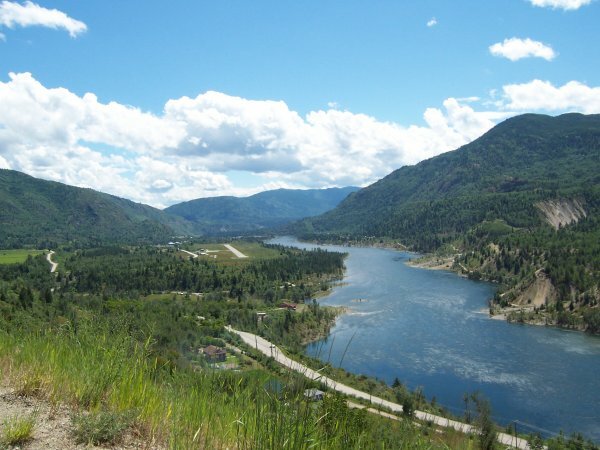 It stretches through where the Kootenay River joins in, past the town of Castlegar, and ends at the big eddy adjacent to the D-Bar-D Ranch. This stretch is the smallest of the four in terms of width, depth and flow. It possesses an excellent assortment of riffles and classic runs and plenty of walk and wade water. Genelle Run: Genelle to Murphy Creek. The Genelle to Murphy Creek stretch starts at D-Bar-D ranch and flows through the big River braid downstream of Genelle, to the mouth of Murphy Creek. This section may be the most productive, certainly it is the favorite of many anglers. 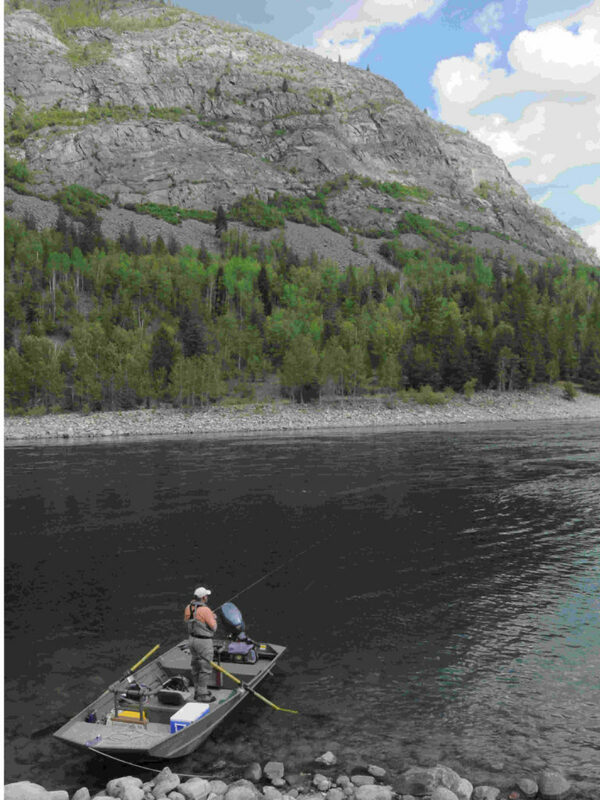 Genelle to Murphy Creek provides a wide range of water to choose from including; small and very large back eddies, side channels and long runs with both shallow and deep water. 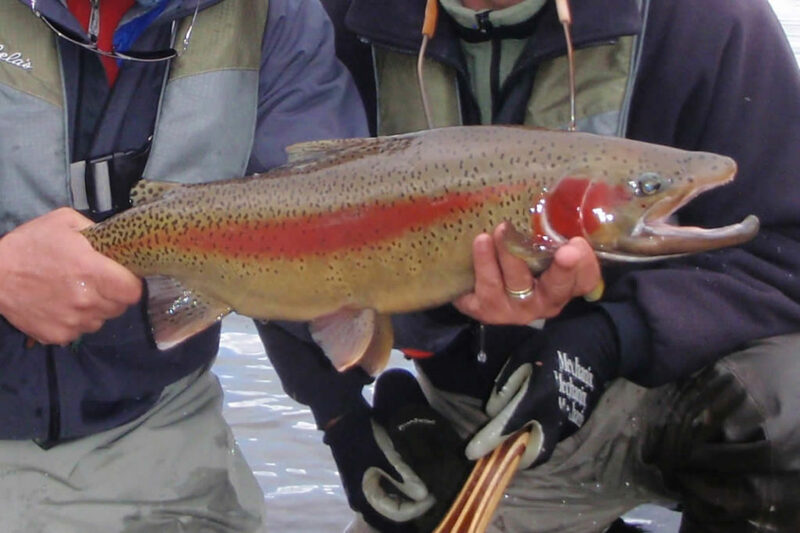 The catch rates tend to be highest in this stretch and it possesses much of the trout spawning habitat. This section of the River is suitable to spey casting from shore, or fishing from the boat. Mary’s Run: Murphy Creek to Trail. This Run is the shortest of the four sections, starting just upstream of Mary’s Rock at Murphy Creek and concluding at Trail, B.C. This stretch of the upper Columbia sees the valley narrow which results in the River constricting and getting much deeper. Its most prominent feature is a series of large productive back eddies. This piece of the River fishes the best of the four sections in the spring. We fish Mary’s Run pretty well exclusively from the boat. The stretch from Trail, B.C., past the old aboriginal village at Fort Shepherd Flats to the border, is our terminal run. Coming out of the bottom of Mary’s Run the River valley opens up and broadens just above the bend at Trail. Here it becomes much shallower, again providing a diversity of fishable water. It can be fished from shore, or from boat. 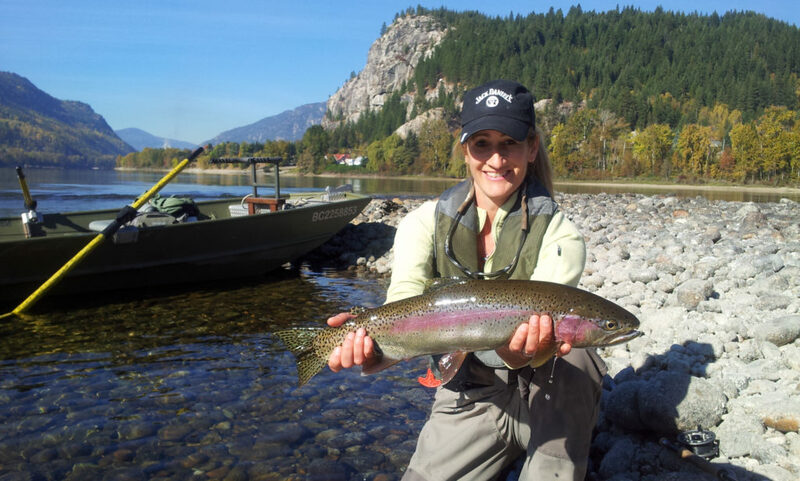 It is home to some of the biggest, but most challenging rainbows on the upper Columbia River. 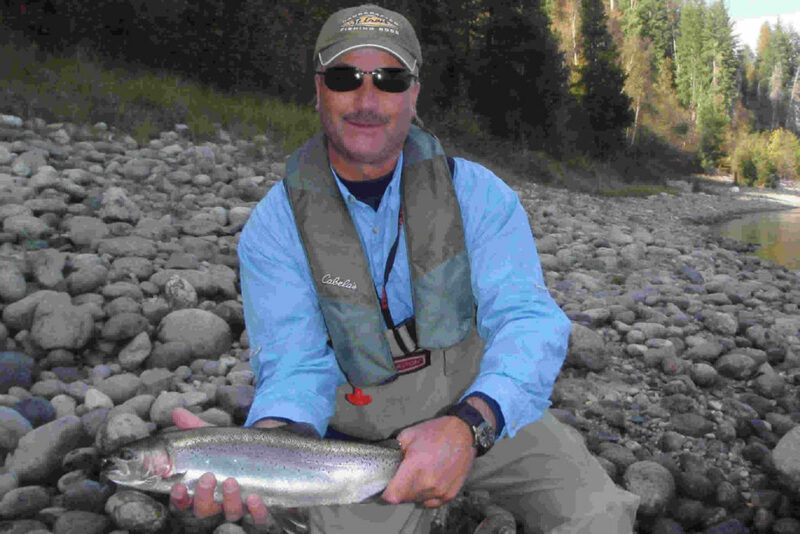 The Fort Shepherd Run can be a sophisticated piece of water to fish, but its fantastic mix of riffles and runs makes it very rewarding. 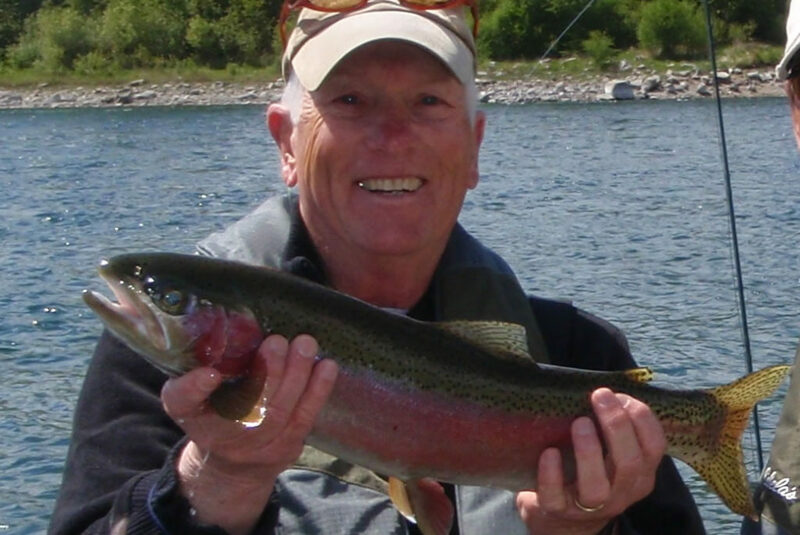 Our role as guides is to take all the features of the four sections of the upper Columbia River, and break them down into small fishable chucks. 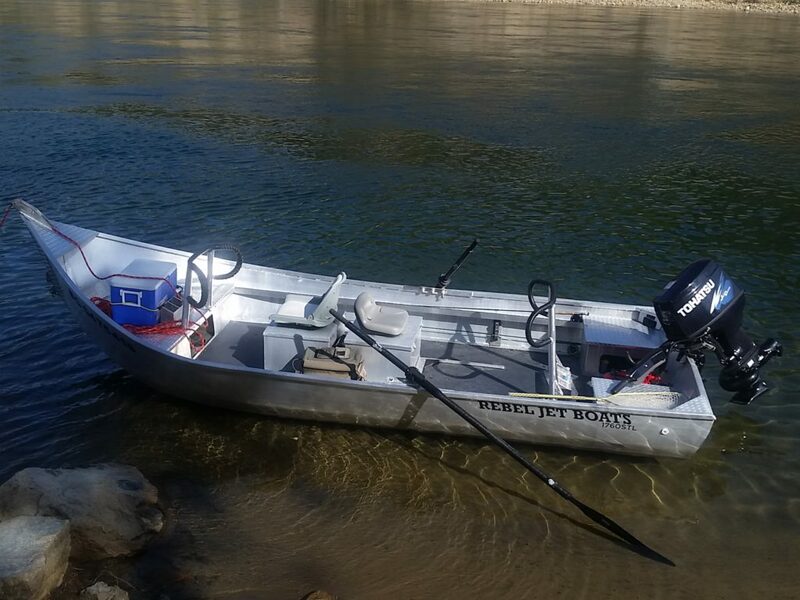 Using our rowable jet boats, we will get you into position to cast into the best water; be it on a drift through a long run, a quick jaunt over a productive riffle, or rowing the jon to hold you steady just off the feed lane in a big eddy. 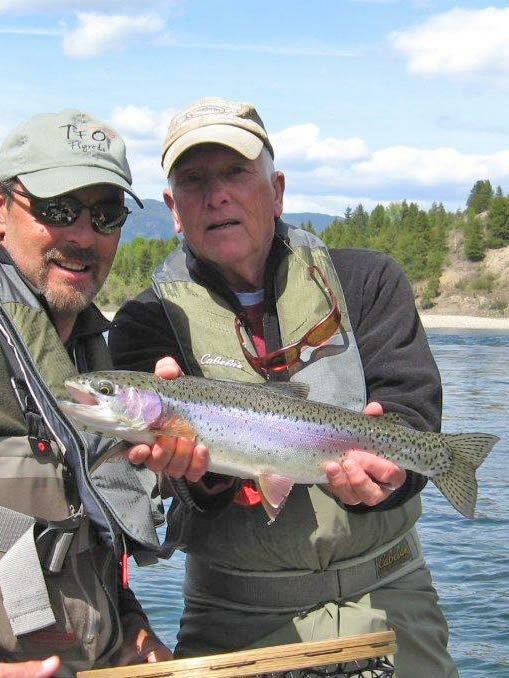 We invite you to come and experience the upper Columbia River with us, call us at 1-800-667-2311.